The Commander exercises operational command over the Research Commission's work in the New World. A veteran of the First Fleet from 40 years ago, he leads the Commission with a levelheadedness that is punctuated at times with brash, daring strategies. Handlers are experts in intelligence-gathering, cooperating closely with their hunter partners to advance the Commission's research. 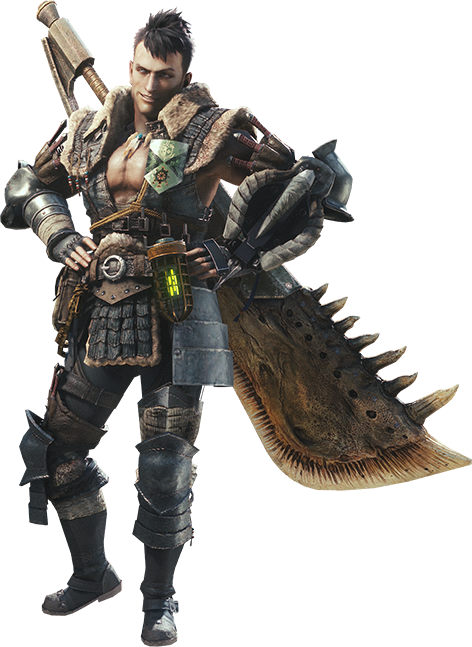 The Handler, clever and resourceful, has come to the New World with a high recommendation from the Guild, filled with hopes and "hunger" for what the New World has in store. Her motto? "If in doubt, take a bite!" The adroit young spearhead of the field team, the Field Team Leader is the grandson of the Commander and was born and raised in the New World. As such, he wields an unmatched knowledge of the challenges that face the hunters there.